The Collectors Corner is where you can find tons of essentials for your coin and currency collection. 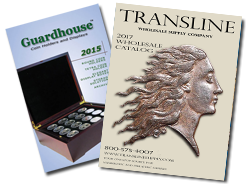 We offer several popular brands of coin albums, coin folders, collector maps by Dansco, Whitman, Cornerstone, HE Harris & more! Check out our huge selection below by selecting your desired brand and product type.